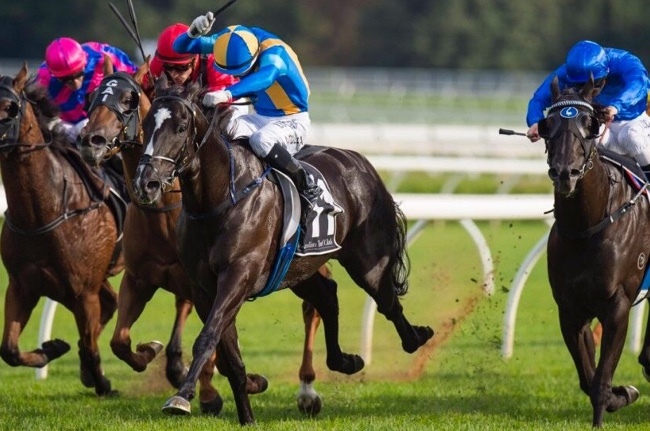 Through persistence and hard work which resulted in repeated success on the track, Bjorn has been able to grow the stable to incorporate 92 horse boxes with first class facilities. The rapid expansion of his stable from 2 to 92 boxes shows Sydney owners (always quick to back a winner) have thrown their support behind him. Bjorn’s current stable includes Music Magnate, Champagne Cuddles, Egyptian Symbol, Redouble, Sir Plush and Goodfella – all recent winners. Explore our Stable News for the latest information and results.